Mike Rutherford has achieved a great deal of success over the last 30+ years of his career as a songwriter, guitarist and bass player. 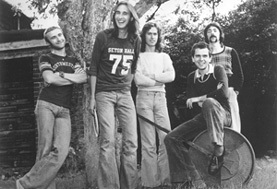 Rutherford not only co-founded Genesis, a band that went on to sell more than 100 million albums worldwide, but also Mike & The Mechanics, who’s hit singles like “All I Need Is A Miracle” and “The Living Years” to name but two, have garnered the band’s own place in music history. 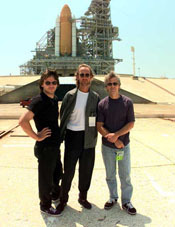 On December 23, 2004 Mike Rutherford sat down with World of Genesis.com’s Dave Negrin to discuss Genesis’ new 3-CD retrospective, The Platinum Collection; the new Genesis Video Show DVD chronicling the band’s promo music videos; the latest Mike & The Mechanics album, Rewired; and his long and fruitful career in music. WOG: I had an opportunity to interview Nick a few months ago. In discussing the 5.1 mixes, he mentioned that he had to convert to a digital format on these projects, because there was no way to mix off the original mastertapes for The Lamb anymore. Are there any steps being taken by the band to preserve those original multi-track tapes? MR: The old analog ones, you mean? MR: The trouble is that you can’t. They have a lifespan, because the oxide comes off. So, you bake them in an oven, which enables you to play them, but they won’t last forever and ever. They have a limited lifespan, so everything has been converted to digital. World of Genesis: The Platinum Collection is the most comprehensive anthology that Genesis have ever released. Who was involved in the selection of the songs included? Mike Rutherford: To be honest, if we had all chosen our own version of The Platinum Collection, each one would have been different. So, we started with Virgin Records original wish list. That’s probably three quarters of [the final track listing]. We all were involved… perhaps Tony (Banks) and me more so, mainly because we had a little more time. Phil (Collins), especially towards the end when he was busy on tour, he definitely had input into stuff, and I think that made the balance better on a couple of choices. WOG: Nick Davis also mentioned that you’ve done some work in the studio with Sharon Woolf and Chris Neil since completing The Mechanics Rewired album. Can you share any information on that project? WOG: Were they intended for a Mechanics project or something else? MR: No, Chris was doing it for another singer, actually. A guy called Tuton or something or maybe a third party that he hadn’t actually found. It’s quite hard that kind of songwriting thing, I think. WOG: It was mentioned a while back that you did some work with Graham Coxon from Blur. Is that correct? MR: No, not him. I did some work with Alex James, the bass player. I did some stuff with him, but we couldn’t figure out quite what to do with it once again. WOG: So, that material will never see the light of day? MR: Songs have a habit of reappearing down the line. You never know. WOG: There was some talk that you had written some songs for BB Mack and The Backstreet Boys. Is there any truth to that? MR: Yeah, I did a bit of carrying on with people. The BB Mack guys were actually great; I really enjoyed them. They’ve sort of gone away. I haven’t heard much about them. WOG: Were there any tracks that you would have liked to see included or any material you would rather not have included on The Platinum Collection? MR: No, I was pretty happy. One of the changes near the end that kind of improved it was Phil’s suggestion that we don’t include “One for The Vine,” and we include “In That Quiet Earth” and “Undertow,” which is quite nice I thought, actually… a little instrumental stuff, too. WOG: While the Video Show DVD did manage to get released in most of Europe before the Christmas holiday season, it was delayed until 2005 in Asia and North America. Do you know what caused that delay? MR: We always run late (laughs)! That’s it, really. We were just a bit late in finishing it. WOG: So, it wasn’t record company “red tape” that caused the delay? WOG: What about the Backstreet Boys? MR: The minute you write a song with another songwriter who happens to write for someone else, they say that you write songs for them, you know what I mean? There was this guy called Calum MacColl, who wrote a couple of songs for the Backstreet Boys in the past, and I did some stuff with him. WOG: Can you shed any light on your other activities in the studio and beyond? It seems that you’ve been fairly active over these past several years. MR: Well, Mike & The Mechanics did a European tour in the summer and we recorded a show in London at Shepherd’s Bush Empire which is mixed and should be out on DVD next spring, I hope. MR: No, it was more our end, actually. We just got it in time for England …Only just. America needed more lead time. So, it was all very last minute. It would have been hard, I think. WOG: Are you at all concerned that Asian or North American fans might purchase the European 3-CD set for The Platinum Collection rather than wait for their domestic release (since it was released in Europe first by a couple of months) and what impact that might have on sales figures in those countries? MR: I don’t know. It’s not something I am going to worry about. It’s [coming] out there, which is the important thing. I don’t know whether it’s my problem, to be honest. WOG: Will that see a world-wide release? MR: I would like to think so, but I don’t know. There’s talk of Warner’s (Warner Brothers) putting out Rewired in America. WOG: That’s great news! Will that be sometime in the spring to coincide with the DVD? MR: That should be earlier in the year, I hope. Another album that has never been out in America was the Hits album, which they are going to put out for the Mechanics. 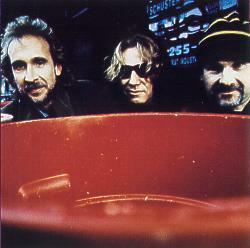 (Update: Rhino Records, which is part of Warner Brothers, will release Mike & The Mechanics' Rewired, Hits, and Genesis' Platinum Collection CD and Video Show DVD in the U.S. on September 13, 2005). WOG: In past interviews, I know that you mentioned that “Land of Confusion” was your favorite music video, because you didn’t have to be in it. WOG: Can you talk to me about the selection process for the Video Show DVD, and if any of those old music videos make you cringe when you re-watched them many years later for the remastering of this DVD? MR: Yes (laughs)! “Trick of The Tail” was definitely the worst clanger (laughs)! Did we leave that one on or cut if off? I can’t remember? WOG: Yes, it’s on the DVD. Why do you think “Trick of The Tail” is the worst one? MR: It’s just not a great moment, but I was surprised how many I liked actually, funnily enough. WOG: Now that those projects are behind you, are there any other Genesis archive type projects that you would like to see released? MR: Yeah. There are so many great what I call board tapes, you know, mixer tapes from the gigs. I know that some bands have released them, and I think we should try and do it. There are some great concerts in there, which are live from the stereo board tape, from all around the world. I think we’re trying to organize that a little bit. WOG: Do you foresee that as something that would happen in 2005? WOG: Will that be on Atlantic Records with the rest of the old Mechanics catalog? WOG: If the Mechanics’ Rewired album is released in the United States and the response is fairly positive, will you consider a North American tour in 2005? MR: If something takes off or does quite well, you go with the flow. What’s hard is going somewhere where it is not really happening. That’s quite hard work these days, but if something picks up with the release of Rewired (in North America), then definitely. WOG: Can you share any information about what fans can expect to see on this forthcoming Mechanics DVD? MR: What was quite different for us was that we did a couple of acoustic songs. We did “All The Light I Need” and “Whenever I Stop” in an acoustic session in the middle. WOG: Has there been any talk of releasing a Mike & The Mechanics video anthology on DVD similar to what you’ve just done with Genesis? MR: No, but, funnily enough, it did cross my mind, because we did have some good ones with The Mechanics, actually. I liked them, and it’s only been out in VHS. The other thing that appeals to me is that when we made the first three videos, which were “Silent Running”, “All I Need Is A Miracle” and then followed by “Taken In.” They weren’t actually played that way, but they were designed to link into each other. I might try and do that. in the collaboration, and he was losing what he wanted to do, and once that balance changes… Then it’s time to leave." MR: Definitely, but the next thing we’ve got coming out is the 5.1 mix of The Lamb (Lies Down on Broadway), which hopefully is going to be in the spring, and sounds really good! WOG: Will the release of the 5.1 mix of The Lamb coincide with the 5.1 mix of Trick of The Tail? MR: I don’t know. Probably The Lamb first, I think. WOG: Were you and Tony concerned at all about how fans might respond to the newly remixed tracks on The Platinum Collection CD? MR: Yes, definitely. We thought very carefully about that, because I hate when people go back and try to change things too much. For me, one of the biggest plus for The Platinum Collection, which I wasn’t sure about at first, was the remixes on the early songs. The mixes we did on the early songs were done in a bit of hurry, you know what I mean? We had to get those mixes done by a week from Monday, for example, because we’re going to be going off on tour. So, we did have to rush them a bit. Secondly, we just didn’t spend them time on them we should have. Thirdly, one’s ears have improved over the years. I, personally, think Nick Davis did a really good job of not changing the mix… just making them sound… For me, my personal opinion,… a bit beefier, a bit richer, and a little more aggressive. [Nick] always ran the original mix in synch along side of it, so he never went too far away. WOG: With all of the recent projects you’ve done in the studio, have you ever considered recording another true solo album in the vein of an Acting Very Strange or Smallcreep’s Day? MR: No. I don’t want to sing again. If I do anything, I would want it to be something I haven’t done before. WOG: Did you have an update on the reissue of the Acting Very Strange album on CD? MR: I don’t know much about it, actually, no. WOG: I recently heard that Virgin/EMI is in talks to work with Steve Hackett on the remastering of some of his early projects on Virgin. Has there been any discussion of giving similar treatment to Smallcreep’s Day which is also on the label? MR: I’ll look into it. It’s a good idea! WOG: I understand that you started the Rewired project in 2001. Can you tell me why it took so long to complete this album? MR: I think we really weren’t sure what we were going to do. We did a bit of writing, but to be honest, I wasn’t sure that it was going to proceed beyond that without Paul Young. I think we all sort of dragged out feet, because it didn’t feel right. Then, suddenly, last year we sort of thought, “Well, maybe it’s ok to do a Mechanics album?” It was a difficult album to do in a sense, because it was a strange transitional time. I think if we do more, it will be a lot better, I think. We found a way to do it, but [Rewired] was probably an odd album to make in a sense. We also tried to be a little brave [by modernizing the band’s sound], which is always hard, too. World of Genesis.com is a fan site and has no affiliations with Genesis or any artist associated with the band. Website design, content and pictures copyright © 2000-2014 David Negrin. All Rights Reserved. All content on this website is either the property of David Negrin, or the original owners, and may not be duplicated, copied, transmitted, or altered without permission. This site is best viewed in 1280x768 (widescreen), using IE 10.0 or better. 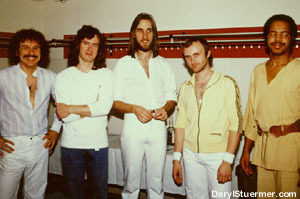 Genesis band shot used in "Reviews" icon used by permission from P. Kamin.